ok goodnite all. I need my sleep. 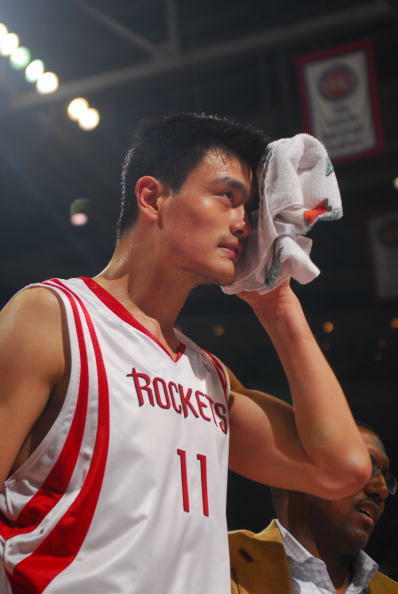 If I had a choice between gong to see Yao or Yi I would pick Yao. 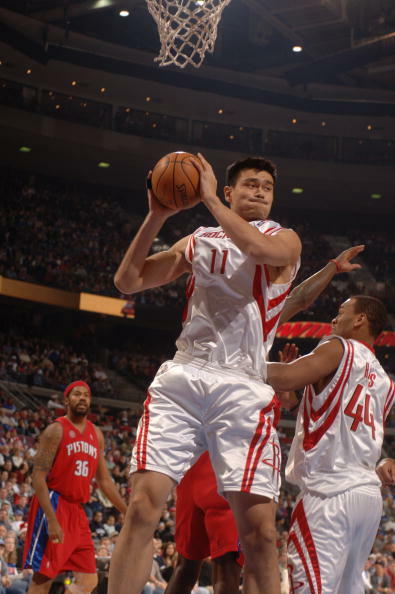 I have always loved the way Yao plays and I still do. A more athletic flashy player does nothing for me. I like traditional Centers. 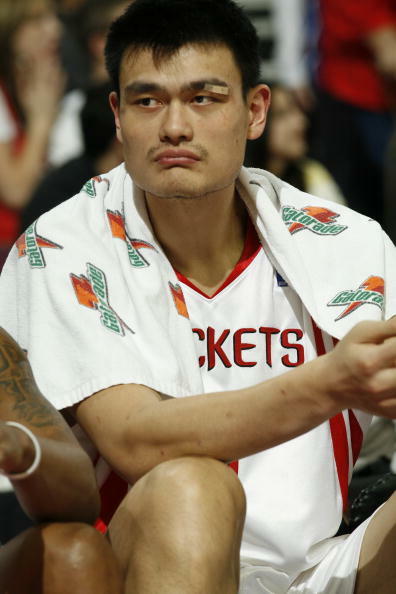 I am with Yao all the way. with the weight of the ax, you two hands to hold onto it. but a basketball is different. as an example, get off your azz and pretend your dunking right now. go one handed, and then try two handed. as hard as you can.. which one feels more powerful to you? thought so.. Yes, you are right. The one handed dunk feels much more powerful than my silly two handed. Thanks! But Kobe is a guard. 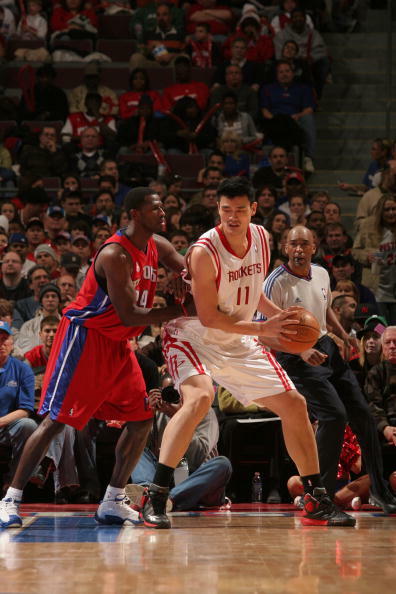 A guard cannot be more powerful than a power forward. 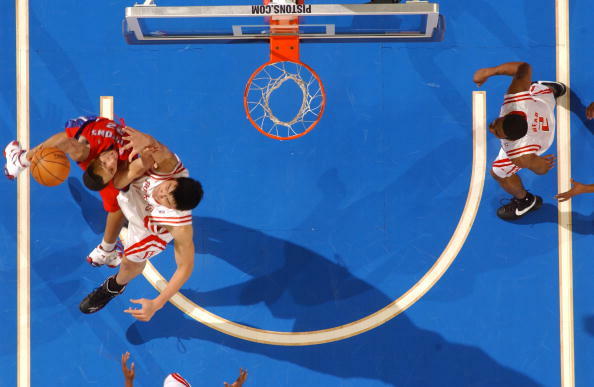 If you compare sheer power, there was a dunk by Kenyon Martin in one of the final games. He started running from the corner of the baseline, leaped up with his head one foot over the rim, flushed down the ball with both hands over an air borne Rick Fox, who was like a little boy trying to reach the high flying ally oop pass from Jason Kidd. There was no chance for Kobe to flush it down that pass. That dunk had Kobe in awe. And he went over to pat Kenyon Martin's back. Don't compare a carpenter's chopping with a lumberjack's. And BTW, you thought two handed dunks were less powerful, and you came up to defend Yi's powerless, unauthoritive dunks with name calling. Have a merry X'mas, and don't worry about Yi's helplessness.